The 1st edition of the European Photonics Venture Forum takes place on 16 April 2015 in Rome, Italy. It aims to market the photonics sector to a wider investor community and create channels to finance for high-potential photonics businesses. 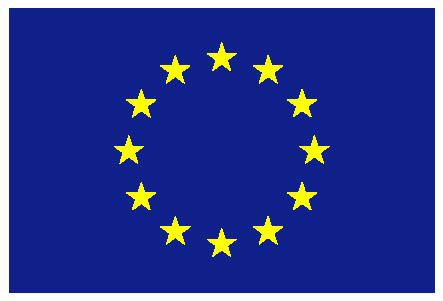 The Forum will ensure photonics becomes a pillar of local regional development plans, mirroring the European strategy and driving more support and funding to the sector. During the forum, a special focus will be given to Corporate Venturing as large industry executives come together with emerging entrepreneurs in a bid to increase the volumes of mergers and acquisitions, joint ventures, strategic partnerships and awareness of the opportunities of such actions. The event was initiated by the partners of the EU-funded project LightJumps.eu together with the European Photonics Industry Consortium (EPIC). More information is to be found here and you can register (free of charge) here. Conference on photonics, biomedical optics, optoelectronics, industrial lasers, optical MEMS, and more – SPIE Photonics West – takes place from 7 to 12 February 2015 in San Francisco, USA. Two exhibitions take place there: BiOS Expo, biomedical optics and biophotonics exhibition, and Photonics West exhibition focused on the photonics industry. Call for Papers is open till 28 July 2014. More information can be found here. LFoundry S.r.l., a member of LASSIE-FP7 consortium, organises a workshop on 20 and 21 November 2014 in Celano Auditorium close to Avezzano, Italy. The first day of the workshop LFoundry activities and regional companies will be presented. The second day is focused on Horizon 2020 programme and its rules. Afterwards, LASSIE-FP7 project will be introduced by its coordinator, Dr. Rolando Ferrini, and the role of LFoundry within the project will be described. 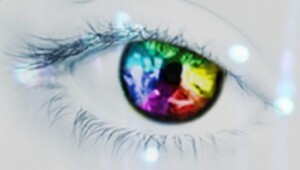 Valeria Marziale (Valeria.Marziale[at]lfoundry.com) can provide you with further details about the event. Swissphotonics (the Swiss national thematic network for photonics) and the Swiss National Laboratory for Solid State Lighting (SSSL) together with LASSIE-FP7 project and CSEM (the Swiss Center for Electronics and Microtechnology) organise a workshop focused on Large-area Solid State Lighting (SSL) on 30 October 2014 in Pantheon premises in Basel. Speakers from leading light industries (OSRAM Opto Semiconductors GmbH, Philips GmbH, Regent Lighting AG) confirmed their participation. Very interesting topics such as the SSL revolution or new trends and developments in SSL will be discussed. Panel discussion with representatives ofproduct manufacturers, associations, architects and politicians will debate future challenges in SSL. As part of the workshop a press conference of the LASSIE-FP7 project will take place. Project LASSIE-FP7 will be presented by Dr. Rolando Ferrini, project coordinator. View detailed agenda and registration (free of charge) here. 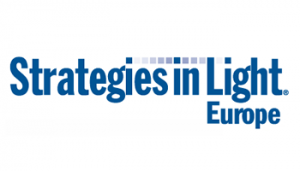 Conference and exhibition for the applications and technology of solid-state lighting, 5th Strategies in Light Europe, will be held from 21 to 23 October 2014 in Munich, Germany. The event brings together designers, technologists, marketers, and financiers. It offers a platform for networking opportunities and a forum for the sharing of ideas and experiences in the latest technologies and market developments. More information is available here. 4th International LED professional Symposium +Expo (LpS 2014) takes place from 30 September to 2 October 2014 in Bregenz, Austria. Research institutes, lighting organizations and the lighting industry will present their insights on the latest trends in LED and OLED lighting technologies in multiple sessions, workshops and throughout the exhibition area. More information on the event can be found here. The eve nt focused on the lighting industry, 4th Smart Lighting Conference & Expo, takes place on 7 and 8 May 2014 in Barcelona, Spain. The focus is on the state-of-the-art in technology, applications, business models and best practices in intelligent and dynamic solid state lighting worldwide. New to the equation will be the achievements, developments and impact of networked ICT solutions and systems on the further enhancement of efficiency and management of smart lighting systems and solutions. The concept of “lighting on-demand” will be presented in a variety of applications from a global perspective. More information on the conference is to be found here.